The past is yours to savor at the Feast of the Hunters’ Moon. 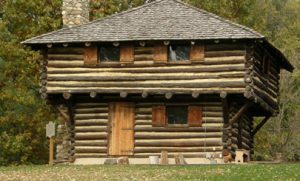 At this historic reenactment you can recapture 18th century life at Fort Ouiatenon—the first fortified European outpost in what is now Indiana. The Feast of the Hunters’ Moon is a re-creation of the annual fall gathering of the French and Native Americans which took place Fort Ouiatenon, a fur-trading outpost in the mid – 1700s. 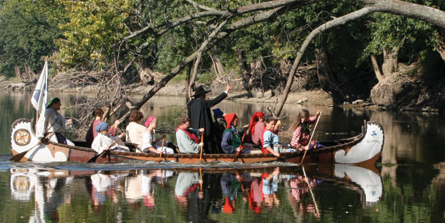 It is held annually in early autumn on the banks of the Wabash River, four miles southwest of West Lafayette, Indiana. Thousands of participants re-enact this event creating a feast for your senses. 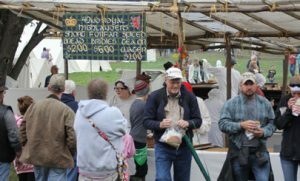 Smell the wood smoke, hear the report of the rifles, savor authentic food and more. Continuous, free programming is held on five stages. 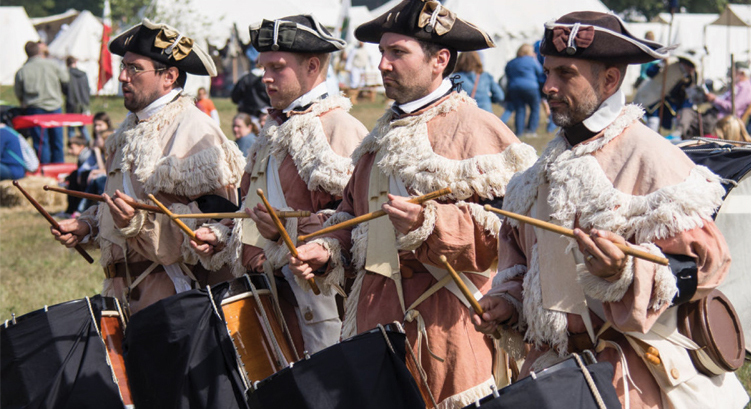 French and Native American music and dance, fife and drum corps performances, military drills and demonstrations, fashion shows, games and contests can be enjoyed at the 50th celebration of this event. Special hands-on activities include the children’s trade blanket, costume try-on, candle-dipping, story telling, bead bracelet making, cross-cut sawing, and tomahawk throwing. Pets: Except for assistance animals, NO PETS are permitted on the festival grounds during open hours. © 2019 | Tippecanoe County Historical Association. All Rights Reserved.